Our "assignment" for this week at the Year of Jewelry is Spring. As in Spring Has Sprung. Which is a great thought, by the way, and technically (as in according to the calendar) spring has arrived. Here in my neck of the woods, however, the weather is anything but spring-like. It was flat out cold this morning and there's a chance of snow for the next several days. For the sake of this exercise, I'm going to pretend spring has arrived. I'm going to imagine I can see tiny buds of the softest green on the trees with promises of summer behind them. I'm pretending the hyacinths and tulips and crocus are blooming with the sweetest of spring hues. And in the midst of this spring utopia, there must be ducklings, because there is nothing that screams spring more than baby ducks. They are absolutely the most adorable little things, too - maybe even cuter than kittens and puppies! Did I lose you on the translation from duckies and flowers to macrame jewelry? It seemed perfectly logical to me, but I've also been told I don't think the same as "normal" people... I used the perfect duckling yellow cord and beads and the pattern has a sort of floral feel to it. Are you with me? OK, don't say I didn't warn you. 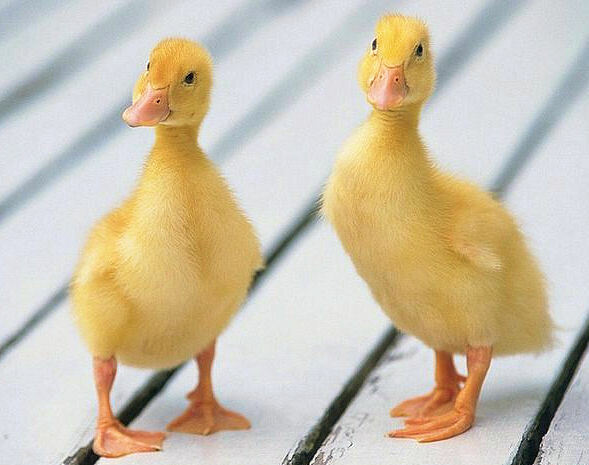 I'm going to prove that baby ducks are the cutest thing ever. Ready? That is totally working for me, Sherri... the jewellery AND the ducklings. I'm not going to look outside at the almost 10" of snow we just got. Spring has SPRUNG! Somebody needs to tell Mother Nature once spring is here there should be no more snow. very sweet , nice and amazing ! The jewelry is the exact color of the daffodils that are starting to bloom all over my neighborhood now (just in time to get whacked by the next snowstorm) -- a welcome glimpse of springlike color! 7th Bead Soup Blog Party - Soup's On!